Along with residential buildings, “New York City also has architecturally significant buildings in a wide range of styles spanning distinct historical and cultural periods” as Wikipedia elaborates. The fact being that most of these buildings are more than a century old, are under constant exposure to weather and NYC’s pollution cause the building’s exterior defense to deteriorate overtime requiring immediate repairs and replacement of various parts. In this regard a number of renowned Real Estate Managements have been working with USA Construction & Painting Inc. for their exterior waterproofing needs in New York. We have been serving them through all seasons of rain and snow and even provide them emergency services 24 hours a day. Over time the exterior elements and their underneath waterproofing layers get damaged and need immediate care. 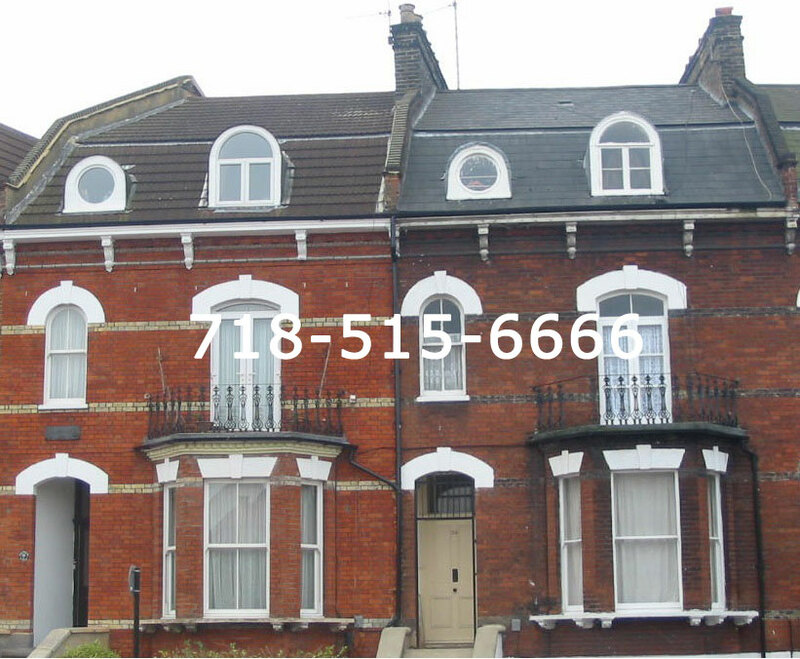 We provide all the following exterior façade repair options for your waterproofing projects. The following processes also give a building aesthetically a new look. 1. Brick Pointing: After a while, weathering and decay cause voids in the joints between masonry units, allowing water infiltration which can cause significant damage. 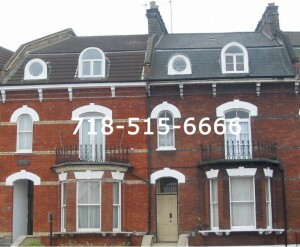 In brick pointing we remove the damaged mortar joints and apply new layer of mortar for buildings protection. 2. Stucco: Stucco is a durable exterior coating used to waterproof the exterior walls of the building and sometimes to cover the less visually appealing construction materials. With time this layer gets deteriorated and needs to be repaired or replaced. Thoroseal & Thorocoat Application: It waterproofs, protects, and decorates building exteriors while allowing them to breathe. Thorocoat produces a tough, outer film that maintains its aesthetic and performance properties over time. It might very well be that the water enters the building other than through the exterior walls, it could be through the roof or the windows. One more reason to hire USA Construction & Painting Inc. is that we are one general contractor for all your exterior project needs. When it comes to waterproofing NYC buildings, you will find us to be fully experienced and efficient for all exterior elements. Water could be leaking through a number of parts of the windows, and we know how to waterproof the underneath masonry and replace all the window components. So when it comes to leaking problems in NY, don’t wait and let the leakage spread its damages. Call us today for a free estimate. 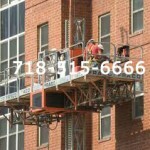 USA Construction & Painting Inc. is fully insured and licensed exterior waterproofing company in NYC. We always use the preeminent material with manufacturer warranty and our skilled crew makes sure that the job is done right. 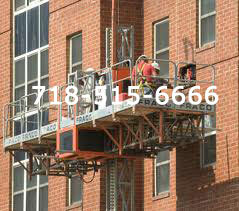 USA Construction & Painting Inc. has extensive experience in exterior waterproofing in New York City. 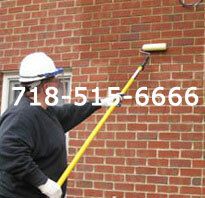 Our waterproofing services range from entire exterior restoration of NYC’s buildings to front facades and sometimes small repairs at the damaged areas only. At USA Construction & Painting Inc. we believe in targeting the problem directly, after proper diagnoses, we devise a unique solution depending on the location, budget and customer requirements. Sometimes we propose number of solutions, from which our clients choose what suits them the best. We always provide a detailed estimate with entire scope of work fully explained, because we believe that an educated customer is the best customer. Educating our customers reinforces our position as the expert in exterior restoration industry and it will definitely promote their loyalty. We believe in mutual understanding and honesty, our customers can put their 100% trust on us, when they hire us. 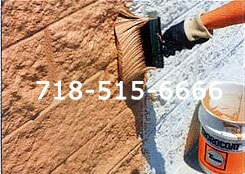 We are a one NYC water proofing contractor that does what it proposes! The best of all is that our estimates are free! Hiring a qualified and knowledgeable restoration / waterproofing contractor in NY is very critical. With the increased restrictions and safety precautions enforced by Department of Building, DOB, of NYC, if a water proofing contractor is not aware of the rules and regulations the building owner might end up with more violation tickets then he actually began with. Exterior waterproofing in NYC projects involve complexities of obtaining permits, installing side walk bridges and required scaffolding under an experienced special rigger license holder. USA Construction & Painting Inc. has a dedicated professional waterproofing crew with all the required skills to successfully complete your projects on time and to your full satisfaction. Most importantly we try to reduce your waterproofing cost with latest and efficent solutions available in market.